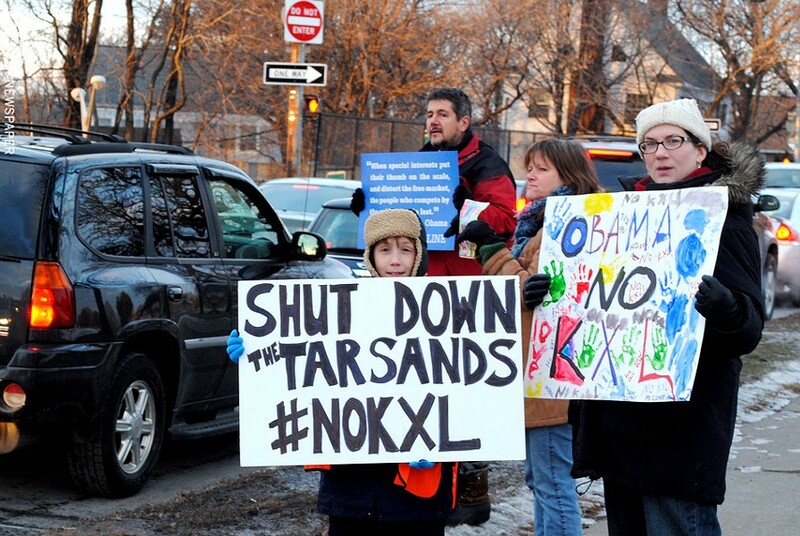 Local residents lined Culver Road to protest the Keystone XL pipeline proposal. President Barack Obama said he wouldn't approve the proposed Keystone XL pipeline extension unless reviews show it wouldn't hurt the environment. But just last week, the US State Department released its environmental review of the proposed extension. It says that the pipeline would not have a significant impact on greenhouse gas emissions. 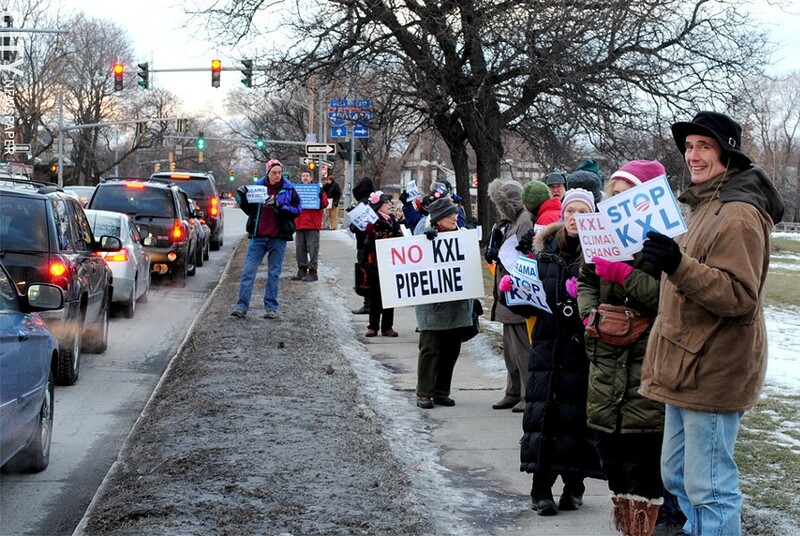 During the evening commute hours today, a group of Rochesterians lined Culver Road at Cobbs Hill Park to show their disapproval of the project and to encourage Obama to reject the pipeline proposal. Critics say the pipeline will enable the continued extraction of oil from Canadian tar sands fields. The tar sands oil is dirtier than conventional crude, and its extraction and refinement is water and energy intensive. Tar sands crude also has a higher greenhouse-gas footprint than conventionally extracted oil.